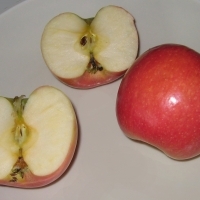 Tropic sweet and Anna are red apples with firm, white and crisp flesh that is very sweet. Dorsett Golden has a yellow skin with a slightl pink blush with firm sweet flesh. 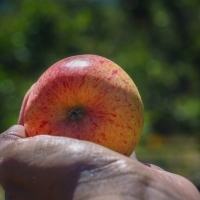 Store bought apples are no comparison to your own freshly picked fruit. Delicious crunchy apples similar to their cold climate cousins, Red Delicious, but only require a low amount of chill. On a dwarf rootstock they are ideal for backyard plantings and container specimens. The Dwarf Granny Smith apple tree has a tart-tangy, crisp flavour and bright green skin. 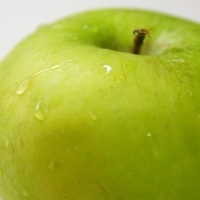 One of the best apples for eating out of hand and a very good cooking apple because of its ability to retain flavour. Perform best in cooler regions. 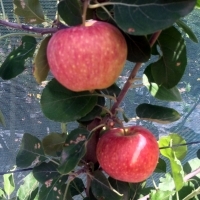 Compact apple tree growing to only 2m high making it ideal for containers, courtyards, decks and balconies. 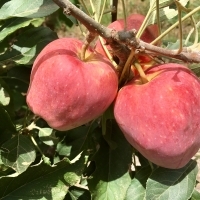 It has delicious fruit that ripen two weeks earlier than the Pink Lady but are similar in flavour. Grows well in all temperate climates of Australia. Partially self pollinating, planting with Granny Smith will improve fruit set. An Australian selection named for her attractive pink blush over a yellow undertone. 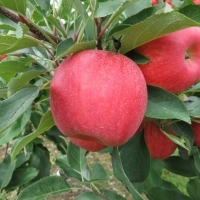 Her true pink coloring, crisp crunch and smooth texture assure the ultimate in dessert quality eating apples. Performs best in cooler regions. 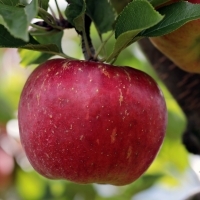 The dwarfed red delicious produces excellent crops of bright red, large, crunchy apples. The flesh is greenish white and has a crisp texture. The are great to eat straight off the tree. 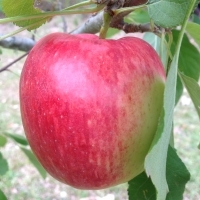 Pollinate with a Granny Smith, Pink Lady or a Red Fuji. A high chill variety for cooler regions. 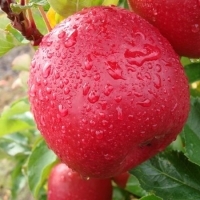 The aromatic flesh of the red fuji is tinged with a delicate honey-pineapple flavour, sweet and aromatic. The crisp, crunchy flesh is very juicy and the fruits hold well on the tree. 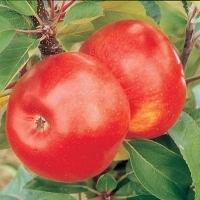 The skin ripens from greenish yellow to a dull russett red. Partially Self pollinating, pollinates with the red delicious, and pink lady. Fuji will perform in both cold and warmer temperate climates. 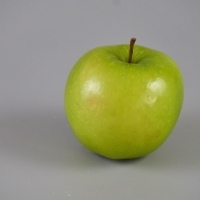 A juicy apple with a mild sweet flavour and crisp, creamy yellow flesh. Excellent for eating fresh, cutting into salads or adding to the kids lunch box. They are a thin skinned apple. A high chill variety for cooler regions. Compact, columnar tree. A late dessert apple with a crisp texture. Skin colour is flushed red over a green ground cover. Crisp and juicy. Excellent flavour with a slight tang. White spring flowers, with splashes of pale pink. These delicious and crunchy apples only require a low amount of chill to fruit. Very similar to the Jonathon apple in looks and flavour. Earliest fruiting apple, 2 weeks before Anna. 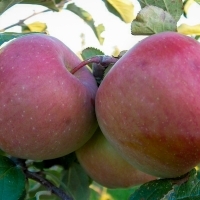 Sweet aromatic apple with yellow fruit and a delightful pink blush and firm white flesh. 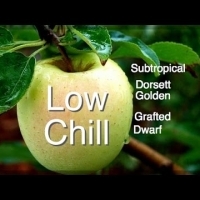 Low chill requirement allows it to be grown in subtropical climates. It pollinates well with Tropic Sweet or Anna. Has a tart-tangy, crisp flavour and bright green skin. One of the best apples for eating out of hand and a very good cooking apple because of its ability to retain flavour. The Granny requires about 600 hours of chill . High potential for self pollination.